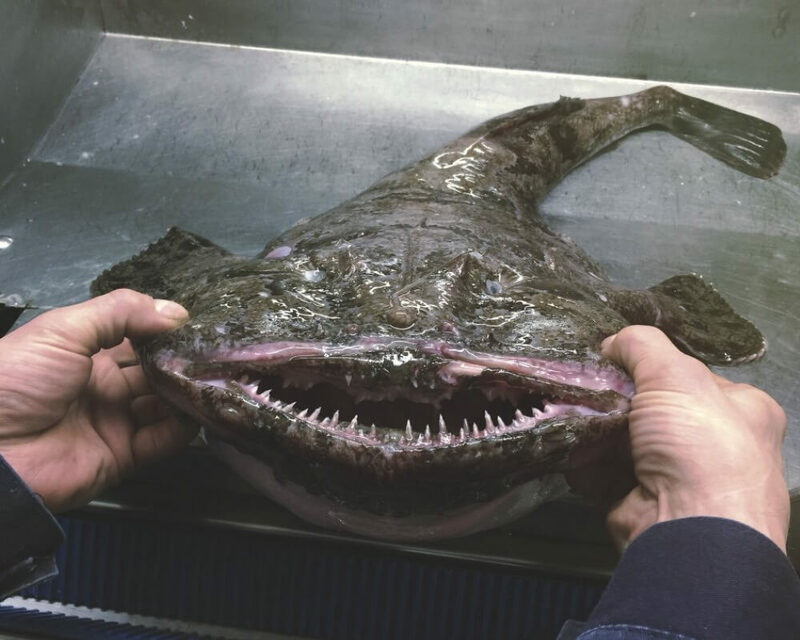 Meet Roman Fedortsov, a deep-sea fisherman who shares photos of his monstrous discoveries on Twitter and Instagram. He mostly works near the northwestern Russian city of Murmansk. He sends probes and fishing lines into the depths of the ocean, and reels in some crazy looking creatures. We know so little about the bottom of the ocean. I bet you didn’t even know that fish could have teeth like this. Well isn’t that a lovely grin? Meet the Cheshire cat of the deep ocean, people. This monster looks like it can take a sizeable bite out of the side of a shark. It would also take a sizeable bite out of your hand if you let it.